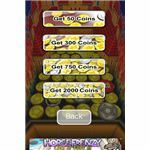 One of the simplest apps for the iPhone is the game of Coin Dozer. It gets the feeling of the coin push carnival games almost perfectly allowing you to collect prizes which really matter to the game. It's tough to stop playing as you're always trying to get just a few more coins. Coin Dozer is one of those addicting games that seems simple at first, but after you play it for a while you begin to find the nuances of the game. There are enough different goals to ensure that you are always working towards one. This means that you almost always wish that you had more coins. Pushing off more coins with your coin dozer is always useful not only in allowing you to play longer, but also to help you gain experience so that you have more coins the next time you play. Coin Dozer is, at its most basic, the classic coin push game. The wall, or dozer slides back and forward. You are then able to drop coins into the open area created by the wall. This pushes all the coins forward. If those coins fall off the sides they are lost, but if they fall at the end you are given more coins to feed into the game. In addition there are special coins mixed in with the other coins. 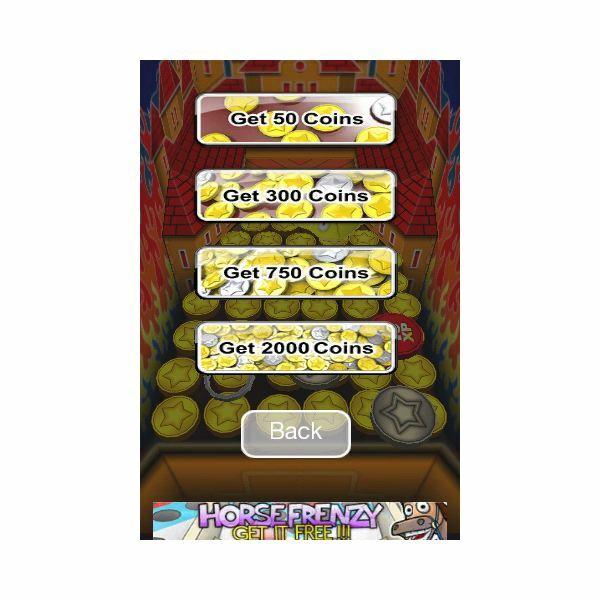 These allow you to get more experience, more coins, giant coins, coin walls and more bonuses that help keep the game fresh. You also have prizes which are dropped on top of the coins and once you collect four of any one type of coin you will gain a special ability. In addition the game has added levels. As you gain these levels the game allows you to get more free coins when you are not playing so that the next time you log on you can play even longer. 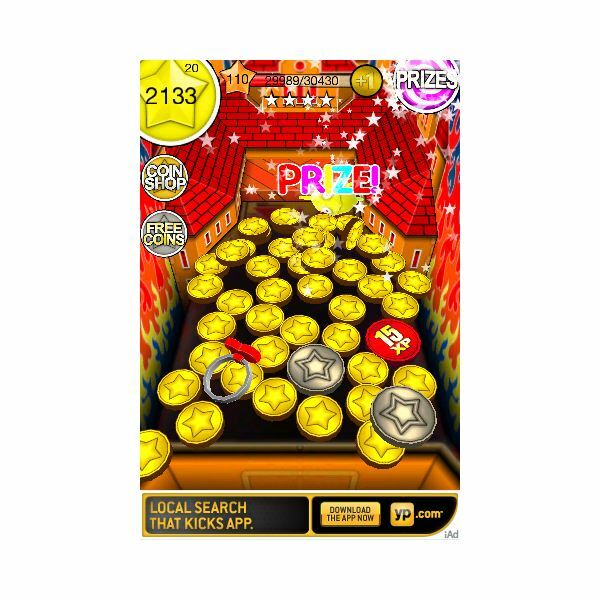 Coin Dozer is free, but it has a limited regeneration of coins. This means, especially at first, you will run out of coins very quickly so that if you want to be able to play more you will need to buy coins. These coins are 50 coins for 99 cents with the price per coin going down if you buy more. The nice thing about this is that as you get more levels and items it becomes easier to play without spending money and there is nothing in the game you cannot get without spending money. The interface of the game is almost absurdly easy to use on the iPhone. For a majority of the game you simply touch the screen where you want the coin to drop and it will. Along the top you can also see the amount of coins you have and the number you can drop. If you look at the top corner you can also see the prizes on the right side of the screen while the buying more coins option is on the left. The graphics are excellent, and while they have a slightly cartoon style they also have the feeling of being real. This realistic feel is vital to draw you into the game and the different prizes on offer also help with the immersion. This authentic feel is in part because of the graphics but also because of the way the coins hit the ground and push each other. 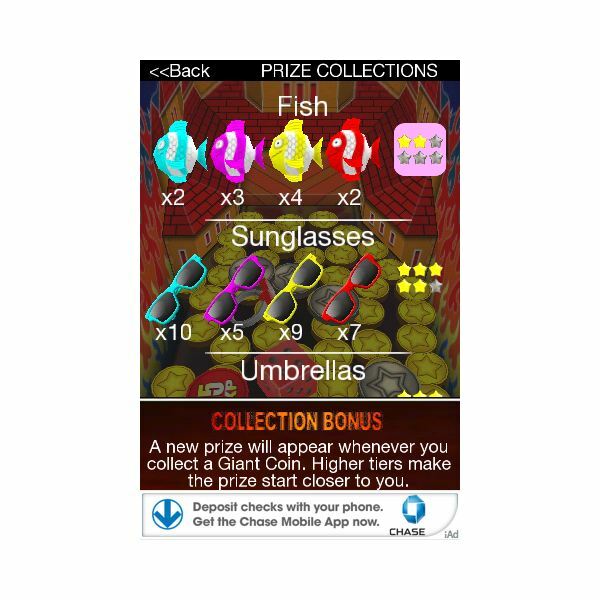 This is one of the best free games in the iTunes library and what really sets it apart from the other coin push apps is that almost intangible reality to the game. The weight of the coins, the way the prizes slide and even the sound of coins falling all give you the closest experience to actually being at a carnival coin push game. 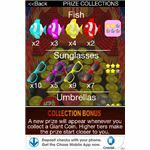 It is also worth checking out because the developers continue to upgrade this app and add new prizes and special coins. It is easy to recommend this game to anyone who has an iPhone.